Baby’s skin is entirely different from yours. It is much delicate, sensitive and fragile than that of adults one; therefore needs an extra level of care as well. Hundreds of brands are there available in the market offering different skin products; but will it safe and secure to use them for your babies? No. as we have mentioned you earlier that baby’s skin is different from yours. Therefore, you need to use special lotions for their skin as well. The baby lotions are specifically designed for retaining the moisturizers in baby’s skin and hence keep them soft and refreshing always. You can easily get confused with the number of moisturizers available in the market as there are some options available with variant unique features. Therefore; for making it much easier for you; we are providing you the top 20 best here. How Can You Choose a Moisturizer for Baby? It is one of the first and foremost things that you need to look forward while getting the best baby’s lotion. Each infant has its skin type and hence needs to have some different moisturizer as well. For example, you can’t use a baby lotion meant for dry skin to the baby with extra sensitive skin. Don’t go with the creams that are meant for adults. Baby lotions are usually developed under keeping the unique needs of infant’s skin in mind. Choose a baby moisturizer with the natural smell as the use of chemicals for fragrances may cause harm to your baby’s skin. Don’t choose products that include Paraben, Phthalates, Methylisothiazolinone and methylchloroisothiazolinone, Sodium Laureth Sulphate, Propylene glycol. Himalaya is one of the most reputed brand names that offer a vast range of skin care products. If you are looking for baby lotions; it is one of the best and safest options that you can choose for your baby. The baby lotion includes perfect moisturizer that takes care of your baby’s skin and the presence of Vitamin E in it prevents your baby’s skin from chafing of. Moreover, the product includes micro bacterial and soothing property well protecting your baby’s skin from harmful microorganisms. Johnson & Johnson is one of the leading names in the list of best baby lotion in India that you can trust upon blindfolded. It is one of the reputed brand names that is being well known for providing a vast range of baby care products starting from soap, oil, moisturizers in the market. Johnson’s Baby Milk Lotion is being made mild so that it can’t cause harm to your baby’s skin. It is a water based lotion that includes gentle, natural fragrances for soothing your baby’s skin. It is another one of the top 10 baby lotions in the list that is being trusted by a wide range of dermatologists for years. It is a perfect baby lotion for your little champ that helps you in restoring your toddler’s delicate skin. It is one of the most beautiful baby lotion available in the market that is being formulated with shea butter, vitamin E and sunflower seed, glycerin, and soybean oils so that to make it hypoallergenic. It is another one of the best lotions for baby dry skin that is being composed of natural ingredients and hence serve as a prefer moisturizer for your little champ’s skin. The cream includes colloidal oatmeal that protects your skin from different microorganisms and thus relieves them from dry, itchy, and irritated skin. Moreover, the lotion is being scientifically proven for your bays skin and hence keeps it safe from rashes, skin irritation, and burning sensation and makes it perfectly moisturized. 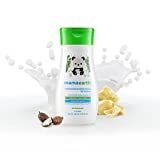 Space to also add a photo measuring 4" x 6"
Mothercare offers you best baby body lotion for the sensitive and dry skin of your baby and keep it deep moisturized all the time. It is just like a best friend for your babies; being developed hypoallergenic and nongreasy so that it can cause a soothing effect on your baby’s skin. The lotion is a perfect combination of chamomile extracts and natural olive oil offering mild fragrance as well. It is an ideal recommendation from dermatologists all over the world that serves as a perfect barrier and stabilizes the temperature of the baby’s skin. 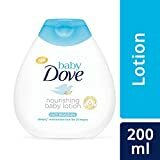 Dove is another one of the most trusted brand names in the list; that offers one of the best natural baby lotions in the market, i.e., Baby Dove Rick Moisture Baby Lotion. It is a perfect product that perfectly moistures your baby’s skin gently and preventing it from becoming dry and scaly. It is one of the most dermatologists tested and trusted options for pediatrics that includes pH neutral formula for healthy and glowing skin. It is another best baby lotion for newborns that is being composed of fruit extracts and chamomile extracts to moisturize your baby’s skin perfectly. The formula is lightweight and non-greasy at the same time that correctly gets quickly absorbed to give your baby a perfect nourishing skin. The presence of antioxidants prevents your baby’s skin from those unwanted rashes and inflammation. B00TDFTRYI: This item is not accessible through the Product Advertising API. 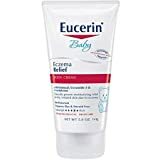 If you are looking for the best lotion for baby eczema; Aquaphor Baby Lotion is one of the right options to trust upon. It is a perfect hydrating skin moisturizer for your baby’s skin that offers healthy skin to your baby. It is one of the best-advanced therapies being approved by a lot of pediatricians for your baby that is being formulated with 41% petrolatum to boost up oxygen flow to your skin. It is just the right formula that works efficiently on diaper rashes, minor scratches, dry skin issues and other skin problems of your body as well. It is another best baby body lotion for dry skin that is being made with natural avocado extracts to make your baby’s skin perfectly moisturized throughout the day. It is one of the best non-greasy formulas being tested and trusted by different dermatologists globally that offers long-lasting moisturizing effect. The lotion spreads evenly and get absorbed easily as well and hence strengthen and protects your body from various skin problems as well. Cerave baby lotion is best baby lotion for sensitive skin being formulated with essential ceramides that help in restoring the natural protective function for your baby’s skin so that it can remain healthy, moisturized and nourishing for a longer time. It is one of the best and long lasting formulas for moisturizing skin; that does not include any paraben, phthalates, and fragrances and hence makes it safe and secure for your baby’s skin. If you are looking for best baby body lotion in India; it is one of the most excellent options made with natural oatmeals that helps in strengthening the natural skin so that it could remain healthy and well nourished for a longer run. The lotion works well on dry skin and also reduces itchiness and irritation on your baby’s skin with eczema. It reduces the redness of the affected area and hence prevents rashes from being occurring. The products are free from chemicals being used for adding flavors, colors, and steroids in it and therefore are safe to use on your baby’s skin. Belli Anti-Blemish Facial Wash along with Acne Control Spot Treatment helps anyone suffering from breakouts to improve their complexion! Features lactic acid to cleanse and gently exfoliate acne prone skin. Free of salicylic acid, glycolic acid, and benzoyl peroxide - common acne fighting ingredients that should be avoided during pregnancy. Contains lemon peel oil, a nuatral anti-bacterial and skin brightener. With green tea extract and cucumber, both are rich in antioxidants. It is best baby lotion for infants that are being formulated with deep moisturizers to make your baby’s body and face to keep safe from dry and sensitive skin they could have. 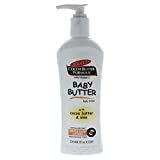 The lotion includes different types of natural ingredients including aloe, chamomile, and calendula that offer a smoothening effect on your baby’s skin. There is entirely no hypoallergenic, parabens and gluten present at all and hence can be considered to be one of the safest products for the sensitive and delicate skin of your baby. 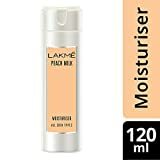 If you are looking for the best cream for toddler eczema; Lakme Peach Milk Moisturizer Body Lotion is one of the best options to deal with it. It is one of the best moisturizers for your baby’s skin that keeps it deep moisturized, healthy and nourished as per different environmental changes and hence makes it looks healthy and glowing as well. It creates a protective safeguard on your baby’s skin so that different harmful microorganisms and ecological changes could not cause any harm to it. Johnson and Johnson are another one of the most important brand names in the list that offers one of the quality skin products to nourish your baby’s skin. Johnson’s Baby Bedtime Lotion is a perfect option to make your baby’s bedtime into a relaxed speed. The lotion is being formulated with natural calm essences that offer your baby full night speed while deep moisturizing its skin as well. It is another one of the first options for deep nourishing your baby’s skin that is being formulated from Aloevera, Cocoa butter and Vitamin E. it is just a matter of few minutes of regular massage with this lotion after a bath, and the soothing effects will impact on our baby’s skin. It is one of the best options to prevent any rough patches of your baby’s skin to make it super soft. It is another best hydro balancing formula for nourishing your baby’s skin that is being formulated with natural lipids, lecithin, and sorbitol. It is one of the most beautiful non-greasy options being approved by different dermatologists of the world that is being capable of increasing the hydration level of your skin by 16% within a few days. It is another beautiful chemical free herbal products for an extra moisturized and perfectly nourished lotion for your baby’s skin that soothes your baby’s skin for more extended hours. It is pediatrician recommended product is composed of 100% natural products and hence ensures you to be safe from different side effects. The shea butter and calendula extract being present in this lotion deep nourish your skin and keep it healthy and glow all the time. B07GQVRB8Q: This item is not accessible through the Product Advertising API. 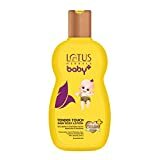 It is another beautiful option in the list of best baby lotions in India that is 100% free from parabens, synthetic fragrances, Phenoxyethanol, DEA/TEA, and sulfates. There are no toxic ingredients involved and hence safe to use on your baby’s skin. The presence of Almond oil, shea butter, Kokum butter, and Aloevera do deep nourishing and moisturizing on your skin for more extended hours. Softsens Baby Lotion is one of the most tested and trusted choice of dermatologists being formulated from milk extracts and shea butter that perfectly works on their sensitive and dry skin and deep moisturize it for hours. It is a perfect hypoallergenic and pediatrician tested product for baby’s delicate skin. Moreover, the product is being formulated with 100% natural products with no any harmful chemical like parabens, phthalates, and petroleum products and there are no chances to have any side effects on your baby’s sensitive and dry skin. Earth Mama Angel Baby Body Butter for Pregnancy Stretch Marks, 8 fl. oz. Last but not in the list of best baby lotions in India is Earth Mama Angel Baby Lotion that is a 100% vegan and hypoallergenic product and entirely free from gluten as well. The cream does not include any added chemicals and fragrances so that it could cause any harm to the sensitive and dry skin of your baby. The product gets the certification of being having 100% natural organic ingredients only along with vegetable oils and butter so that your baby could enjoy deep moisturizing and nourishing throughout. We hope you liked this extensive list of “Top 20 Best Baby Lotions in India”. If you did please share on your social media.